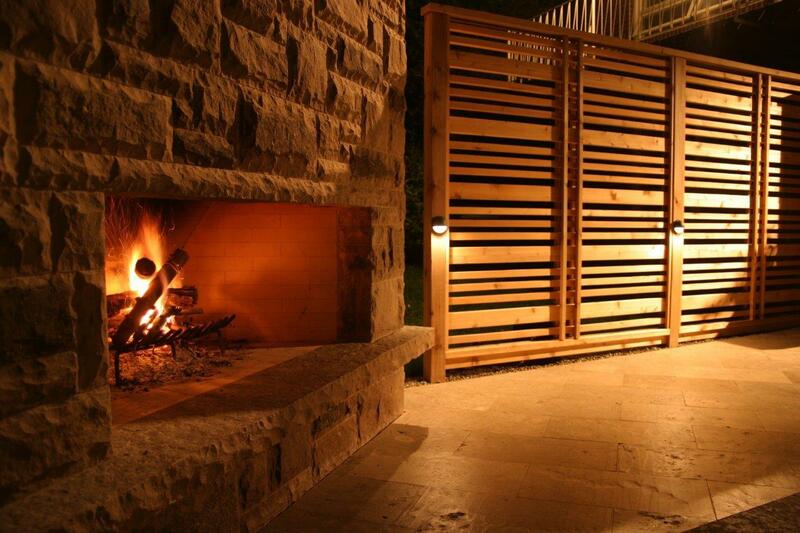 At Tersigni, we create outstanding quality outdoor spaces. 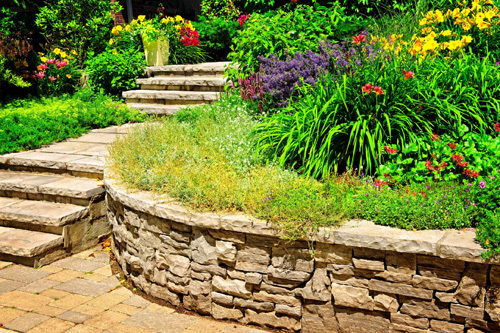 From landscaping conception and design, installations and maintenance, to site renewal and rehabilitation, our dedication to total client satisfaction is evident in the work that we do. We are proud to be performing services for many happy clients. We design spaces that reflect our client’s lifestyles and personalities. 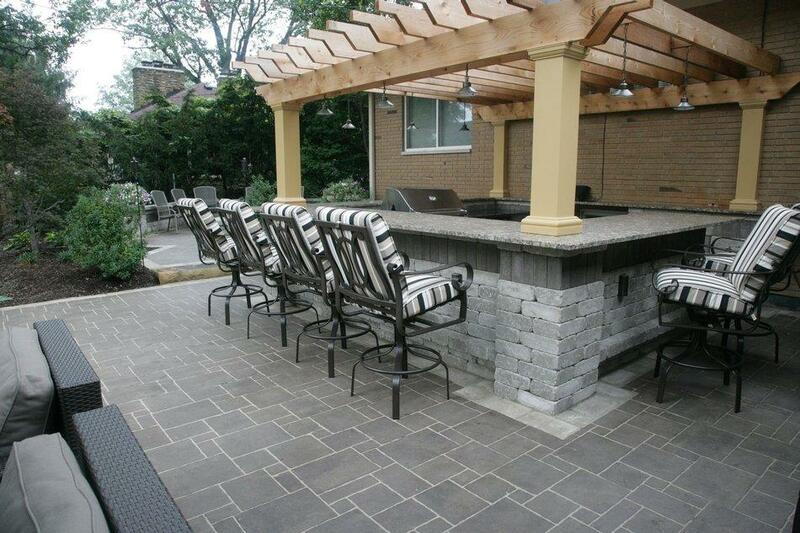 Our highly qualified team is eager to create your dream outdoor living space. 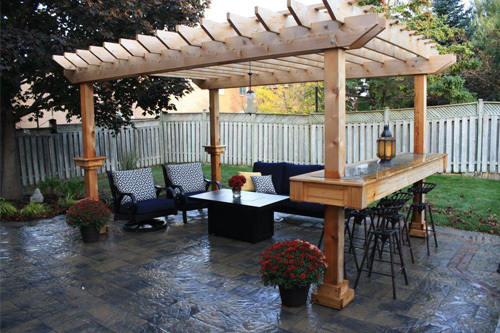 Enjoy your new outdoor environment with family and friends for years to come. Tersigni Landscape Construction’s primary goal is to create quality work that sets the standard for designing and building outdoor spaces. We transform your outdoor area to be the talk of the neighborhood. 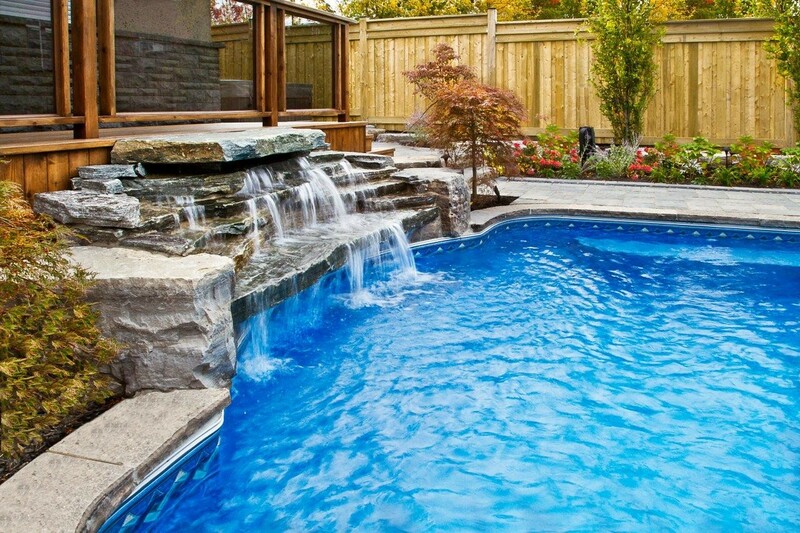 If you are looking for a reliable landscape construction services in Toronto and the area, choose Tersigni to turn your vision of your outdoor space into reality. With a long history of beautifying properties, the many trusted relationships we’ve built have only been possible by consistently delivering excellence and building your vision of beautiful outdoor living to standards that will ensure that the beauty lasts. I would like to highly recommend Tersigni Landscaping to anyone who is looking for outstanding workmanship and spectacular look. I had flagstones in my front walkway and around the driveway. Every year it has shifted and the stones were cracking and always needed to be fixed and pieces replaced. This was becoming costly and the look wasn't as nice as when it was first put in. Steve recommended replacing the stones once and for all so I didn't have to put more money into it every year and spend more and more money. I was very resistant because I liked the flagstone. Steve found a replacement stone that is very durable. i could not say no to it. It is an outstanding stone. I was so happy that i went with Steve's suggestion. He did a beautiful job. My neighbours are all asking me who did the work. It is just beautiful. Thanks Steve for your great recommendation! Tersigni Landscape designed and constructed the backyard of our dreams. It was a huge project which included a pool, deck, and pavers. Really professional crew and what was really impressive was how they always made the site look presentable at the end of each working day. This makes a construction like this so much more bearable for the entire neighbourhood. Our backyard came out even better than I expected. Cannot thank Steve Tersigni and his crew enough. Not only did they do a good job, they are good people. Tersigni crew has done an awesome landscaping/interlocking job at my house. They were always on time, price was very reasonable and the quality of work and design is second to none! I highly recommend them! Thank you Steve, Gino, Jason and the rest of the crew for job well done! 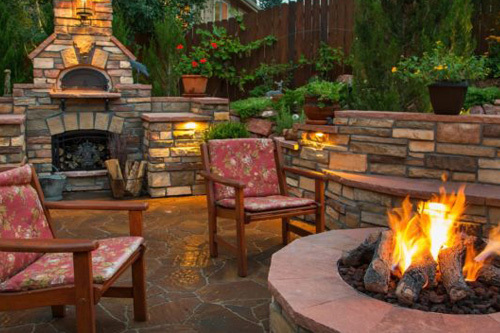 If you dream it, Tersigni Landscape Construction will make it happen. This is the second time we have used Tersigni and his crew, they are dedicated to commitment, professionalism, craftsmanship and creativity. They beautifully transform my ordinary backyard into a private oasis. Steve and company met and surpassed all my expectations. They are an amazing work force and with their excellent knowledge and expertise in the landscape construction industry, they will transform your design into reality. Tersigni did an exceptional job in our backyard. From the design phase to construction phase, they were on hand, answered our questions and addressed any issues that came up. They were available to start immediately, even though our pool company had significantly delayed the project (no fault of theirs). Their ultimate goal was to "wow" us and that they did. The final result looks spectacular. Thanks to Steve and your crew, for all your hard work and effort and delivering what you promised, within the projected budget. I will definitely recommend Tersigni to friends and neighbours. I requested the services of Tersigni after they were highly recommended by a friend. Gino, Steve and the crew were all fantastic! They were all a pleasure to deal with and maintained open line of communication from design through construction. I was extremely happy with the design, workmanship, attention to detail, timeliness in completing the job, and how they left the area clean after each day. They really take pride in the job they do! We look forward to working with them next year for the front. Thanks guys!! The work that Terisigni Landscape did on my front and backyard has surpassed my expectations originally for the project. The work that they did allows my family to spend time in the comfort of my own home with a beautiful landscape that I can be proud to share with others. I would highly recommend Terisigni Landscape to any individual that is looking to complete an outdoor project, this company is professional, efficient and an overall pleasure to work with. We cannot not say enough about how pleased we are with the work done by Tersigni. We knew we wanted them after seeing other work done in our area by them and WOW. They exceeded our expectations neighbours and even strangers driving by are complimenting the job. Steve and all the staff are professional, pleasant and polite and obviously take great pride in their work. Theyinvolved us daily and asked if we wanted anything changed or wanted to know if we were pleased. Of course we did not want one thing changed as these guys know what they are doing. From the day they started we were happy and just amazed at how our home looks now. They finished on time and I thought they wouldn't be considering how fussy and meticulous they are, but they did it. Again thanks so very much to Tersigni and we highly recommend this company. Steve and the crew assembled and created a beautiful backyard for my family around our new pool: waterfall, cabana, steps, pavers, etc... They are professional, respectful, clean and creative. The fact that they are a nice set of guys is a bonus. Prior to choosing Tersigni I went to see some of their work as well as other landscapers. I recommend you see Tersigni's work because it'll make your decision a no brainer. The below reviews are consistent with my experiences. I would add that they surround themselves with nothing but professionals so not only are you getting top-notch landscapers you'll also get the benefit of the network (masons, electrical, gas, plumbing, irrigation) that they have established. I would hire Tersigni to do any future landscaping.